Jamie has degrees from Oxford (BA (Hons) in History) and Cambridge (MPhil in Archaeological Heritage and Museums, and a PhD in Archaeology). Current projects include work on Indigenous heritage and world views; rock art regionalism and identity; cultural tourism and the presentation of heritage sites to the public; the commodification of the past; human interaction with cultural landscapes; and historiography. 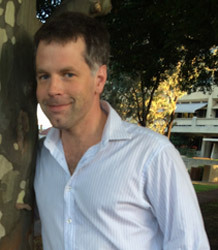 Prior to his arrival in Cornwall in January 2018, Jamie worked at the University of Cambridge and the University of Western Australia. From 2014-17 he was a Marie Curie Global Research Fellow at Stanford University and the University of York. In addition to this, Jamie has received grants from the Australian Research Council, the University of Cambridge, and the Arts and Humanities Research Council (UK).